Important Note… We first published this blog post in late 2016, and it has proven to be the most popular post on our blog. Because of it’s importance and how frequently we get asked this question, we’re updating the post. What SMS messages do I need to send? Can I get sample SMS messages to use? Remember you can reply “Stop” to end at any time, and message and data rates may apply. 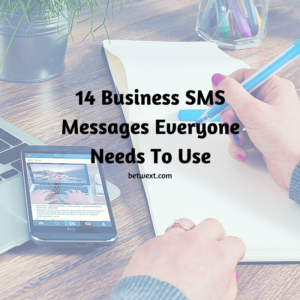 To put it simply there are a few types of business SMS messages you should be using every day. But, I’m going to touch on these four critical areas… and give you MORE THAN 14 business sms messages to use. So what’s the first SMS message? If you’re a business, and you’re using SMS messages, you MUST use a welcome message. This should be the first text message anyone gets from you. This seems like such common sense, but many business owners overlook this simple step. When you set up your texting system, always set up an autoresponder. That way a new subscriber to your list always gets the welcome message. Thanks joining the Betwext text club. Betwext.com is a leading provider of SMS and MMS marketing software to small businesses. 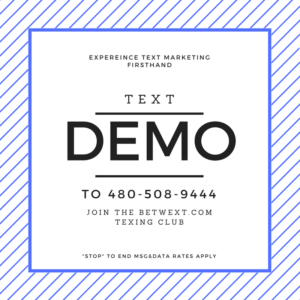 Expect 1-3 messages a week all about Text Message Marketing. Stop 2 End. Msg&Data Rates Apply. Notice how we remind people who we are, tell them why we’re texting them, tell them what to expect, tell them how to get off the list… and finally end with where they can get more info! Keep in mind, once you have prospects, customers, and VIPs on your texting list, you’ll want to start sending them regular SMS messages. A good rule of thumb is one per week. Information SMS messages are a way to share knowledge, news. and information with your SMS list. These messages should be to the point, and often provide a link to a mobile friendly landing page with more information. Remember, your goal with these is to share… NOT SELL… so give people information… educate… share… and connect. Save the selling for later. Note, in this message I added “Text “STOP” to unsubscribe” as it’s good practice to remind people they can get off your list at any time. Very few will… but it’s a good habit to get into! 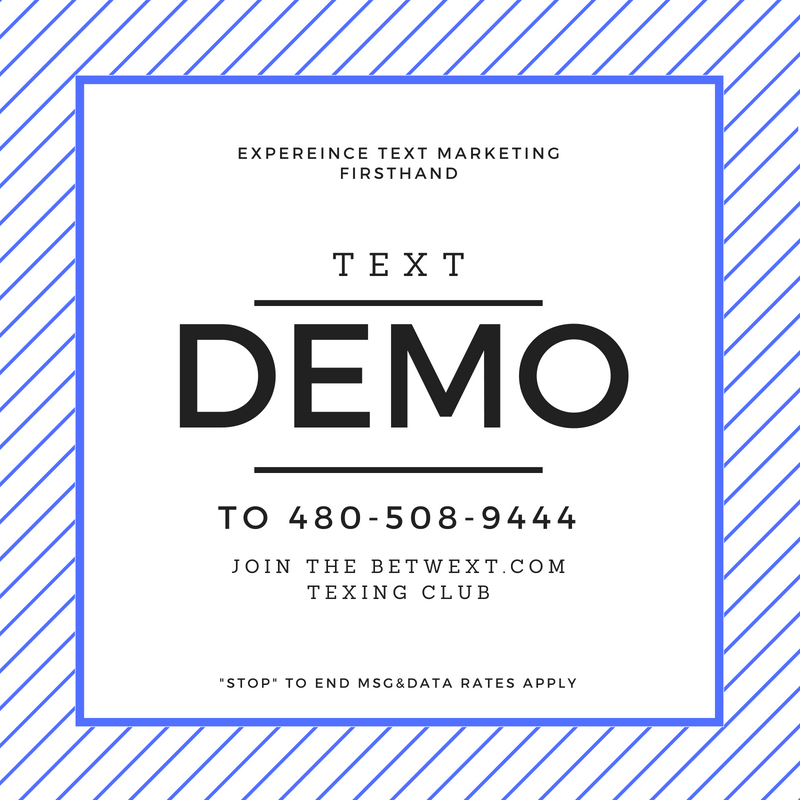 This is a great way to share information about your business without selling anything… and it drives traffic to your site… This is an actual business SMS message you can copy to drive traffic to your site. You’ll notice I used the title to the blog post, and a Bit.ly link in this last business SMS message. I did that because the original link was too long to include… Plus as an added benefit, Bit.ly will give me click information and tell me how many people clicked through to my site. BECAUSE you’re a loyal BETWEXT customer, we’ve got tons of new info on the way (case studies, reports, blog posts)… all to make you a texting pro! PLUS how to win $50 in free credit (more on that in a few days). Text back if you have a text marketing question! Brian @ BETWEXT STOP 2 END. NEW Blog post for anyone curious about sending sms messages online. http://betwext.com/blog Happy reading Brian @ Betwext. There are hundred of other types of messages you can send… you can link to videos, or audio files, or to other websites. You can send a “Quote of the day” or “Fact of the day”… any interesting bit of information the people on your list will enjoy. If you’re going to develop a great relationship with your business SMS list, you’ve got to think soft sale… not used car salesman! You want people to take action… not be disgusted with you. Here are a few ideas. You’d want to send this message out over the weekend AFTER Thanksgiving when many are starting to decorate for Christmas. Sometimes you need customers to call in… here’s a message to use. “Golfing this Sunday? We have tee times available. www.yoursite.com/golf to schedule a tee time. 10% off after 2:00pm. From Your Green Golf Course! We got an amazing response with that call to action! There are hundreds of ways to ask for an order… you simply need to include a call to action in your text message. But you don’t need to use SMS messages in your business for communicating with just prospects and customers… you can use it to communicate with your employees too! Just a reminder that text messages are not 100% secure, as many smartphones display message information without needing to be logged in. So, I don’t recommend sending passwords and other confidential important information via text. We know of one restaurant texting reminders to their store managers to help them pass corporate inspections and reviews… look for that case study soon! As you see there are thousands of ways to use business SMS messages. You can educate your prospects, tell your customers about deal, send VIP’s a special… and use business SMS messages to communicate with your employees. Remember, sending Business SMS messages is a very powerful way to connect with prospects and customers. Use some of these examples in your own business… and if you’re looking for the best SMS marketing platform, consider Betwext.com.